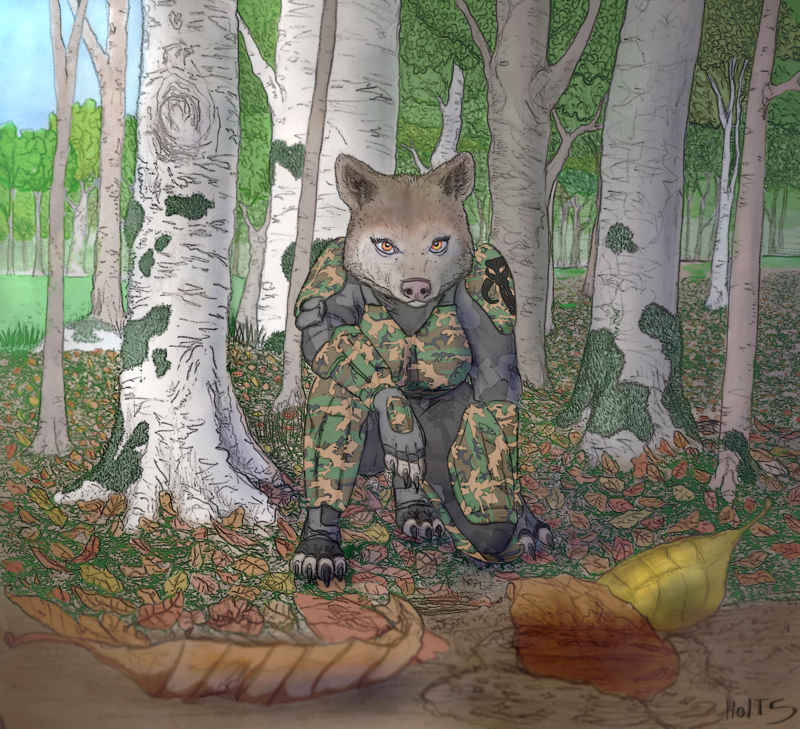 Holt5's Artwork - page 3 - traditional and digital artwork - Furtopia | Family Friendly Furry Forum and IRC Chat! Finished request for someone doing a Zootopia fanfiction! You did a nice job on it. Here's some old-timey work. 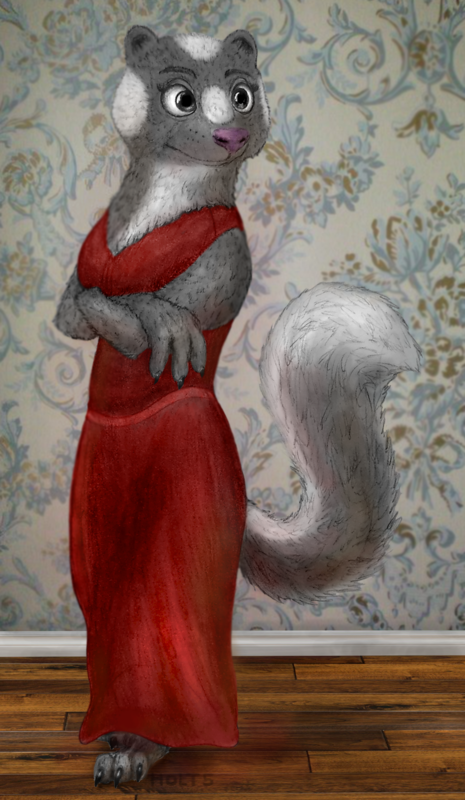 Including a couple characters from Lackadaisy! 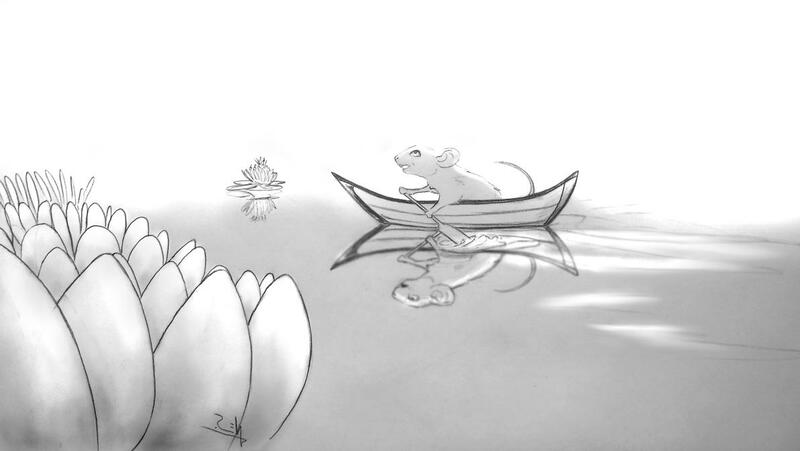 It's always nice to see detailed backgrounds in a drawing. Characters are well done too. Your compliments are a continuous inspiration, Old Rabbit - thanks. Here's a character that The Wise One commissioned from me recently. Fantastic art! Love the perspective. Lately I've heard of the passing of Richard Adams, who wrote Watership Down. I drew a little doodle not long before I heard - a sort of unintentional memento while I was at work. You did a nice job on the vermin. Not that they deservced it. crows, make the stories exciting. 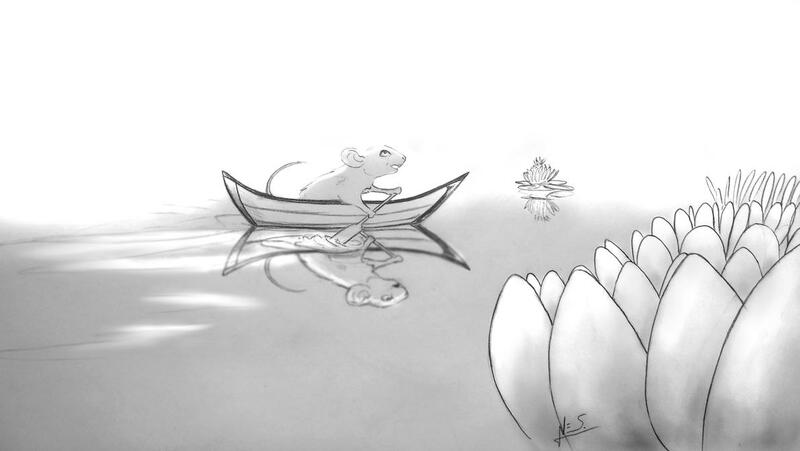 That illustration for Redwall is fantastic! 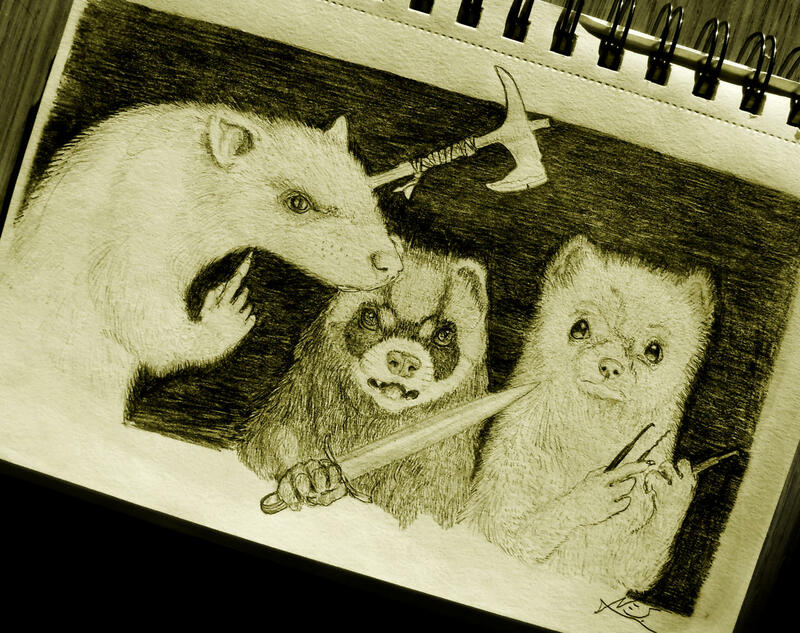 Oh absolutely - it wouldn't be Redwall without the villains. Yeah I definitely wouldn't want to host a party for hares. 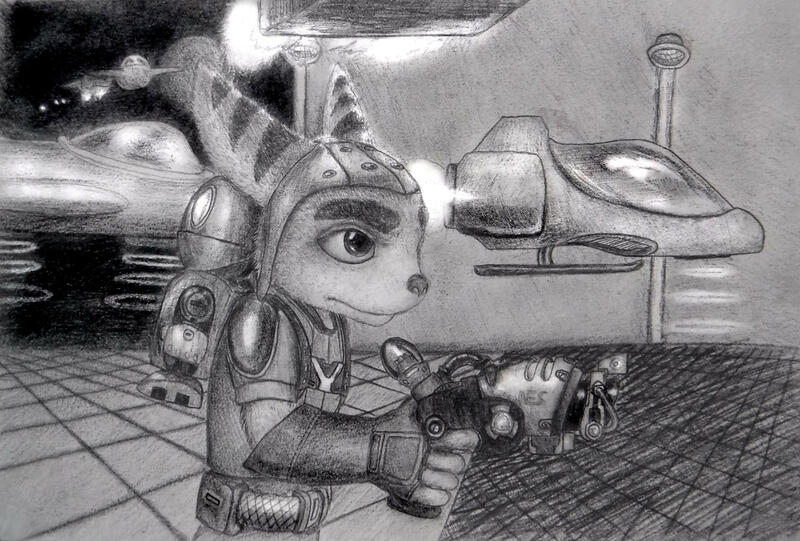 Here's some Ratchet and Clank fan art. Your highlights and shading bring your drawings to life. Final character (perhaps?) 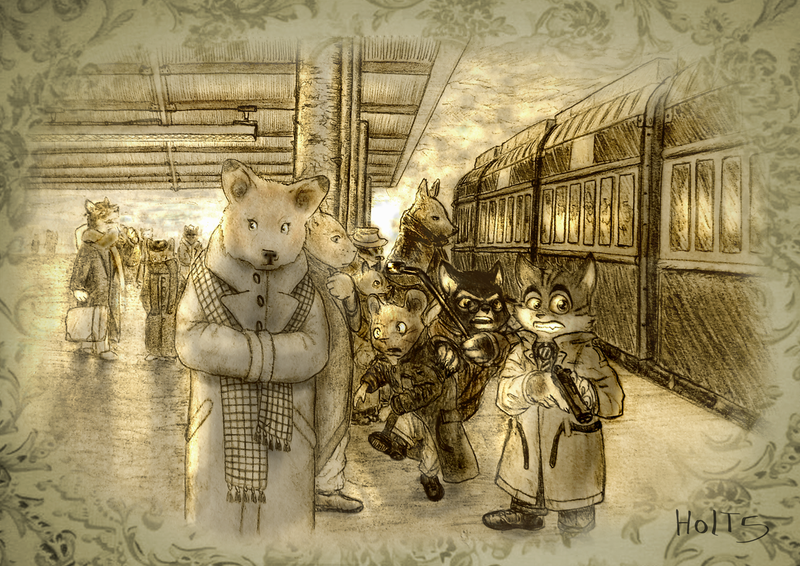 for John Parker's Zootopia fanfiction. I really like this character! 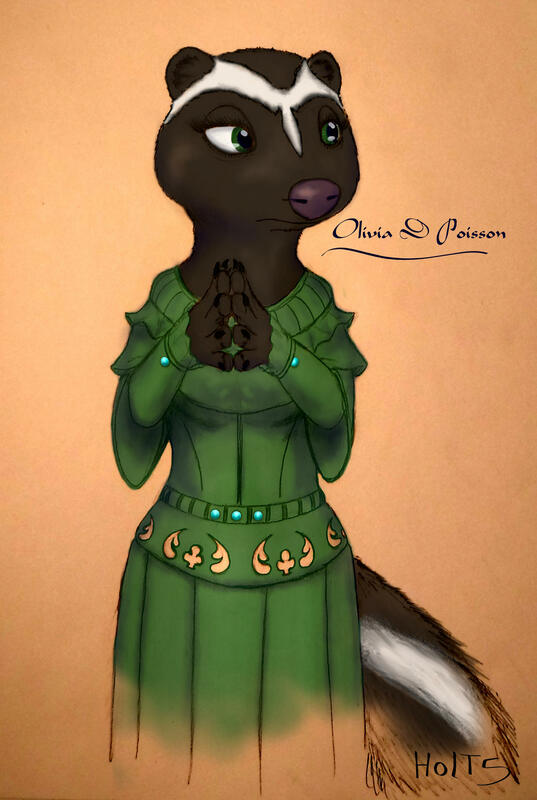 She reminds me of an old fursona I had, my first one, a skunk named Selma. Great detail! Love the dress! Looks like a Redwall squirrel. She does look kind of like a squirrel - I still have to get used to the differences between smaller mammals so they look like their proper species. 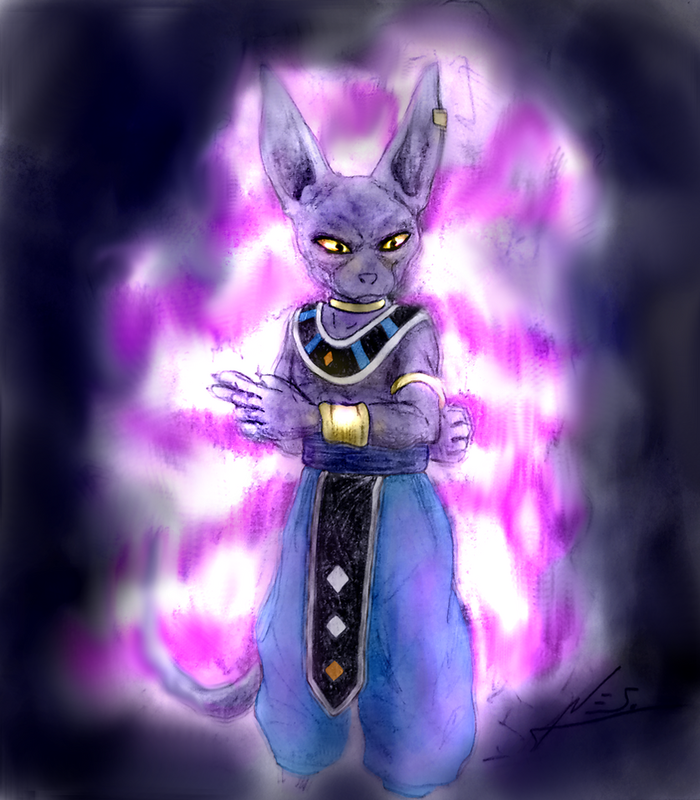 Beerus the Destroyer! One of my favorite characters from the Dragonball universe. Sir Reepicheep from Voyage of the Dawn Treader. I love the reflection in the water! Seconded! You've got some really nice art in here. Like Old Rabbit, I'm impressed with the detail of your background. Glad you like it! I don't do a lot of mirroring in my drawings, and this was a good opportunity so I had to give it a shot. I almost ended up copying and posting the original upright image as the reflection using the computer, but then I felt like I would be cheating myself if I did. So the only computer effects I used were with the highlighting and for the blur effect on the reflection. Thank you - I appreciate it! The details are really what make drawings fun for me. And yet, sometimes simpler is way better. This latest one has been one of the quickest and simplest drawings I've done in a long time, yet it has a much clearer, cleaner look to it than anything else I've worked on. I'm finding more and more that it's not so much about the amount of detail as it is about the use of detail. There's so many small things that can be used to make drawings look a little bit better than before, so it's mainly compounding a lot of little improvements together, which is what I have fun learning about. For instance, even just the direction that a character is facing - left or right - can impact how people view the image. It's used in filmography a lot, and what most film-makers notice is that moving from left-to-right gives an impression of progress or continuity. However, moving from right-to-left usually makes a more negative impression. In a lot of war films, because of that idea, you will see the heroes moving left-to-right towards a battle, while injured or retreating soldiers are moving right-to-left. It's not a fact, but it's usually a good rule-of-thumb. Thank you as always, Old Rabbit! I like adding as much detail as I can handle, but sometimes it's nice to do something less complicated. 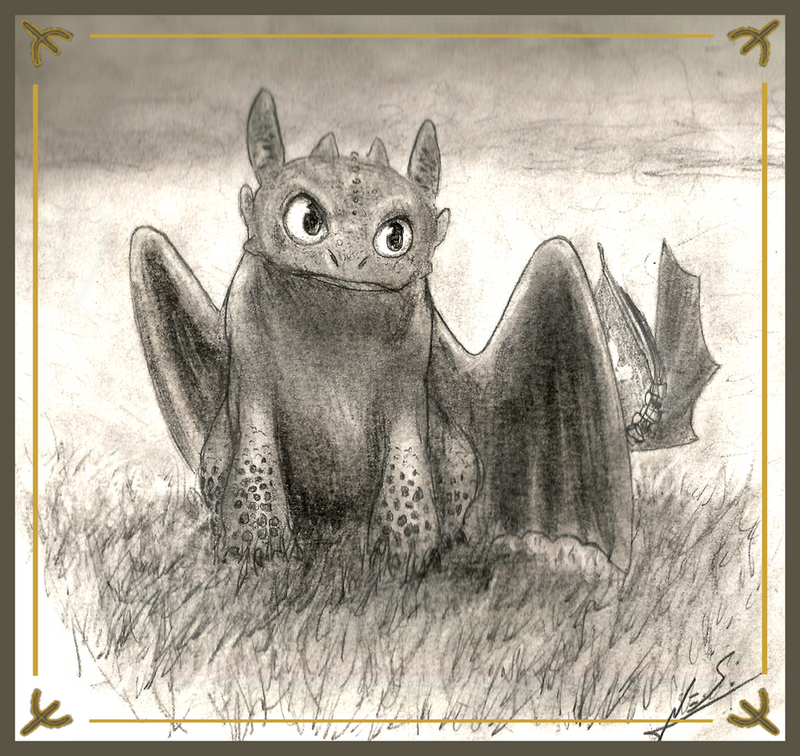 Here's my latest go at Toothless from How to Train Your Dragon. Love this guy. It's always nice to see imaginative creatures posted.